As a bride-to-be one of the most overwhelming things can be the ever changing trends of each wedding season. You go onto Pinterest and soon enough you have pinned 10 1000 images of things that you like. Suddenly you find yourself drowning in a sea of pinks and greens and tulle and flower wreaths and chevron and glitter and… I think you get my point! To help you break down all the different trends of this season I have decided to compile a few of the latest trends to help keep you on top of things. You can always make your own combinations, but do keep in mind that sticking to one main trend is often the best option. This will help you pull together your theme and in turn give your wedding an overall coherent look. Luxurious and hearty elements of nature plays a big role in one of the biggest trends this season. This trend has been coming along since last year, and is growing more popular everyday – it is all about enhancing the elements of nature, and in this case bigger is certainly better. Combine lots of greenery with flowers, and do not feel the need to limit the use thereof to your tables only. Draping of greenery and flowers above the tables is becoming increasingly popular, and is a statement piece to consider if you are looking for something different. Ambient lighting plays a very big role when it comes to setting a certain tone or mood at your wedding. This particular ‘addition’ to decor is often overlooked, or not seen as a ‘must-have’. Switch those bright lights for romantic chandeliers, naked bulbs or fairy lights, and add some candles while you are at it. Nothing says romance like a candle lit dinner, and throwing in a chandelier or two makes it all the better! 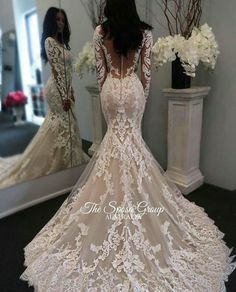 Maybe you are one of those brides who knew, without a doubt, what your wedding dress would look like one day since the age of 5. 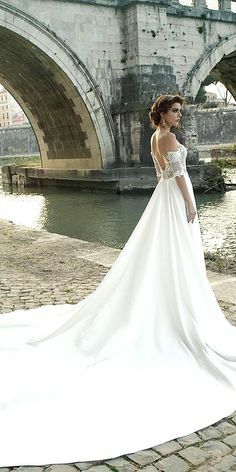 If you are not that bride, chances are that you too are struggling with making a choice in this regard. Deciding on the right fit, fabric, style, colour, etc. can be a daunting task (if you haven’t read our tips on what to know before buying your wedding dress, you can find it here). 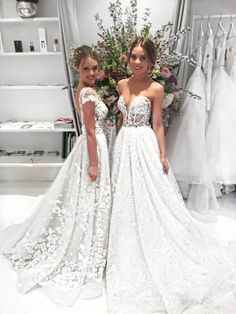 Wedding dresses are softer and more feminine, with off-the-shoulder, as well as illusion necklines, which has been around for a while now. While lace is still very much in this season, you can now see it used in multiple layers. This season designers are challenging brides to think out of the box. 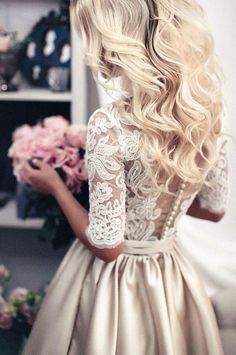 More dresses have 3D elements to them, especially floral designs. Cut-outs, tea length dresses, crop tops, feathers and dresses with floral prints have also been making waves on the runway. 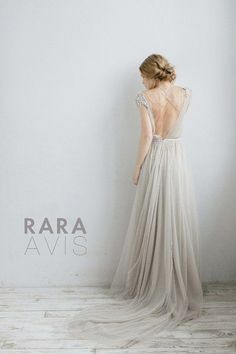 Wedding dresses in colours other than your average white and ivory will still be seen, especially in blush, nudes, and light greys / silvers. And for the more daring ladies, time to suit up! It is all in the detail this season. Everything from the tiniest little flower on your invitation all the way through to the arrangement strategically placed during your couple shoot at your wedding. No detail is overlooked, and you can expect luxurious details, from floral to gold foil prints. Stationery plays a very big part in setting the mood for your wedding, and the designs range from soft and feminine, to bold and modern. Now really is the perfect time to choose what suits you as a couple best, and to emphasize your personalities. And don’t forget to add a little sparkle in the mix, just because you can! Hopefully this post gave you some insight on what to expect in the coming wedding season.